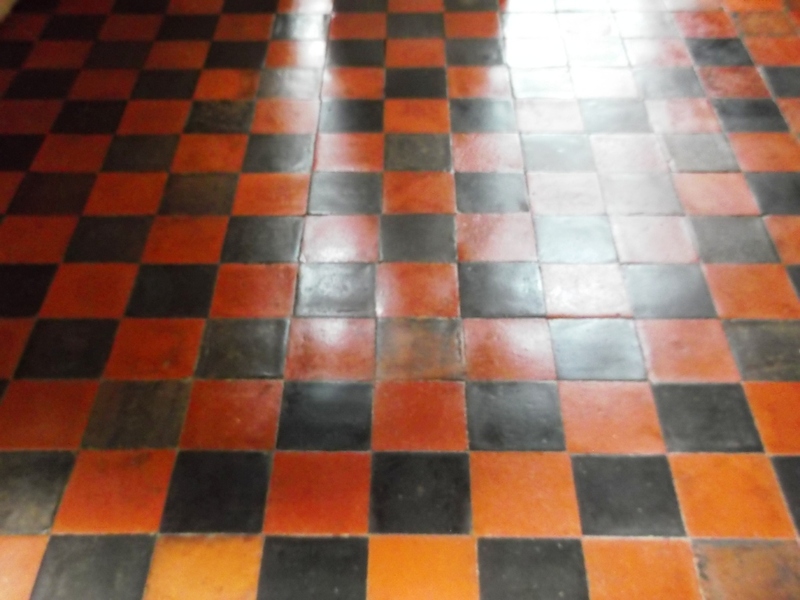 This old quarry tiled floor was in the dining room of a Victorian terrace house in central Ipswich, Suffolk. 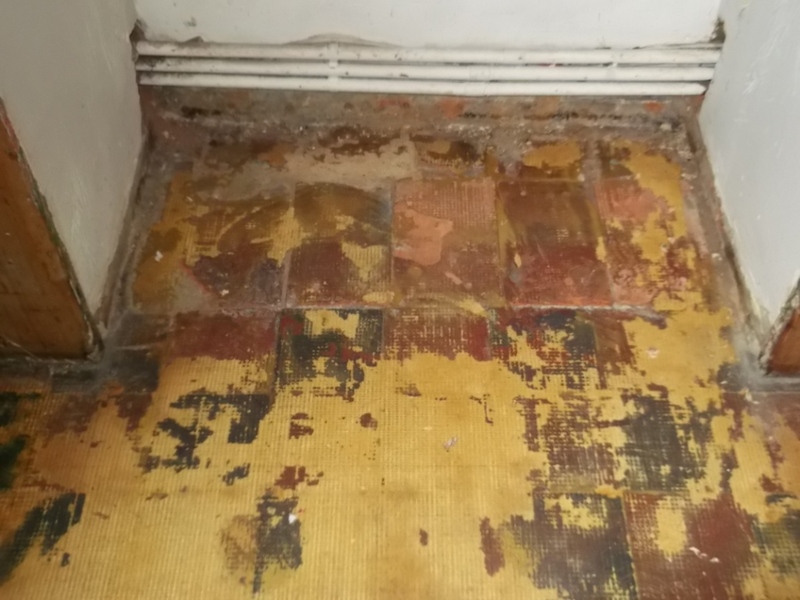 The tiled floor had been covered by carpet for the previous 12 years and the owner wanted it restoring back to its original condition. 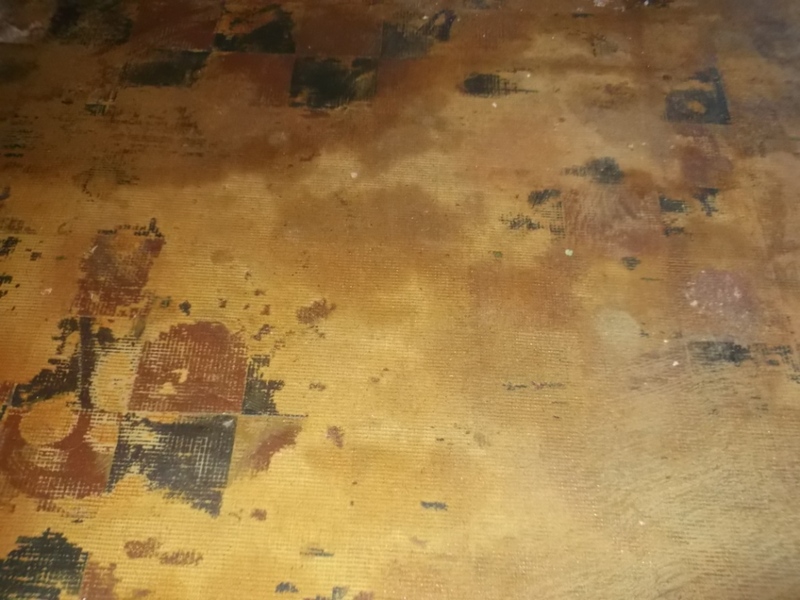 The carpet backing had been glued to the quarry tiled floor and it took two days of hard graft using 2 litres of Remove & Go to remove the backing followed by 2 litres of Pro-Clean to clean up the tile. Once we had finished cleaning we washed down the floor to remove any remaining cleaning products and left it to dry overnight. We find a Wet and Dry Vacuum helps a lot when doing this; it’s a great tool for removing liquids from floors. We came back the next day and sealed the floor with five coats of Seal & Go, about 1 litre, which brought out the beauty in the floor, you can see the remarkable difference in the photographs. I have just had my kitchen and utility tiles cleaned and resealed by Suffolk Tile Doctor Bruce and Dean. An excellent professional service. My floors look like new. I would highly recommend Bruce and Dean Suff lk tile Doctor. Excellent service very pleased with the outcome. Staff very helpful and friendly will use them again. Professional and friendly, helpful and accommodating. Great job, many thanks! 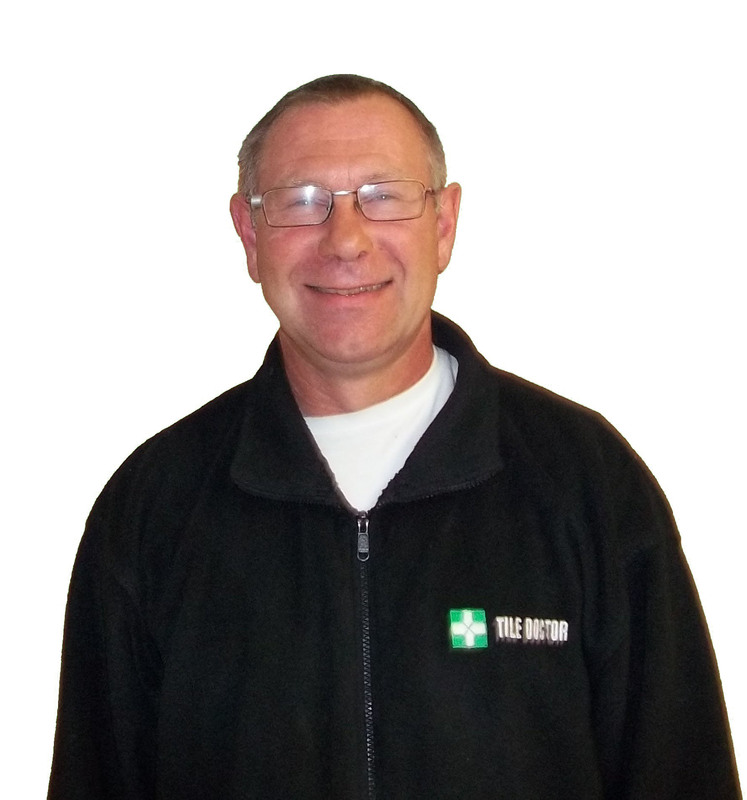 Bruce and Dean provided a very professional service, arrived when promised and carried out the job brilliantly. Would recommend. Bruce and his son Dean work well together, and they were professional yet friendly from start to finish. My floors are now spotlessly clean, and the wet room looks so much better aftr their efforts. Absolutely delighted with them and their work. Thank you both. Wow what a transformation!. The guys were very professional and worked non stop. A job very well done. Completely 100% satisfied with end result. Thanks a million.